This blog post was inspired by Ryan Holiday’s book, The Obstacle Is The Way, which describes how employing the philosophy of Stoicism can turn our ‘trials into triumphs’. This book got me thinking about how we approach issues such as sporting injuries, chronic pain and loss of function that we see in the clinic. Obstacles such as chronic pain are becoming more prevalent in Australia, with one in five adults reporting they suffer with moderate to severe pain everyday. It is clear, as a rehab community, we are collectively not doing a great job at helping. 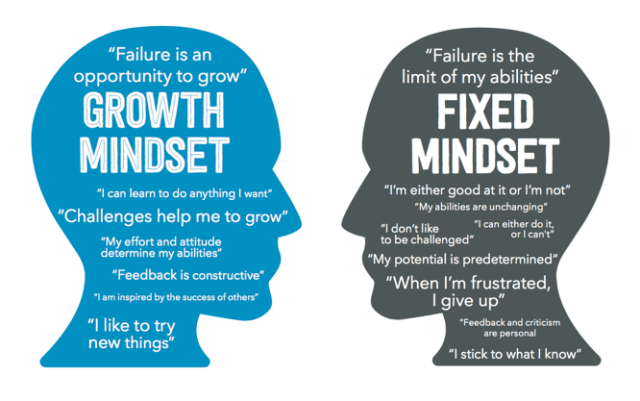 The longer I work as a physio, the more I see how the right mindset and beliefs are a key factor in recovery. Reading more about the Stoic philosophy, I could see how my values as a health care practitioner aligned closely with with this approach. how is this going to get better? when is this going to get better? When they experience injuries, it’s common for athlete’s (even weekend warriors) to feel anxious and depressed. One study of 343 male college athletes found that 51 percent had some symptoms of depression after being injured. Addressing beliefs and attitudes early on can provide the foundation to a successful return to full function. We know that a previous injury is the biggest risk factor for another injury. And that means as a rehab community, we have some work to go in terms of educating and providing injured people a comprehensive rehabilitation program in order to prevent compensations and further issues. 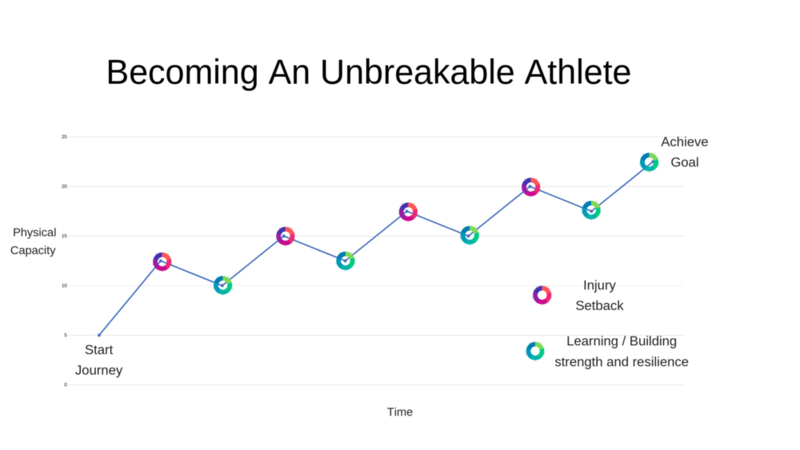 Without inadequate rehab, a downward spiral of pain and injury can develop, eventually leading to burnout. Stoic philosophy was founded in Athens in the early 3rd century BC, and was practiced by the likes of Epictetus, Seneca and Marcus Aurelius. Marcus Aurelius, as well as being one of the most successful Roman Emperors, had his own private struggles with chronic pain in the chest and stomach. His personal notes practicing Stoic philosophy, The Meditations, refers many times to psychological strategies for coping with pain and illness. His physical resilience and endurance was remarkable, despite not having ideal physical health he was to become one of the most respected emperors in Roman history. One of the biggest lessons taught by the Stoics was to re-conceptualise your obstacles from something to avoid to something to welcome, as a means of growing stronger and more resilient. Obstacles give you important clues as to where you may have some ‘weak links’ and provides an opportunity to turn them into strengths. Following a Stoic philosophy involves re-wiring your thinking, shifting from negative emotions such as from worry, anger and frustration to calmness, gratitude and hope. To be clear, negative emotions can be healthy and natural. But at some point, they become more of a hindrance to your forward progress. Of course if your only goal is to avoid pain, there are some strategies that can bring about some fast relief. Using pain-relieving medication has it’s time and place. But unfortunately we’ve seen the long term consequences of opioid medications (e.g. tramadol, oxycontin and codeine) that can sometimes lead to addiction and other serious side effects. And we now know from the research that these drugs create a long-term increased pain sensitivity, making your pain levels greater than before you started taking them. The other problem is once you come off the medications, you haven’t any had an opportunity to learn from your pain and injuries, so you essentially need to start all over again. The Stoic philosophers were big on understanding the rhythms of nature. Just like stormy weather, it would unwise and naive to believe you would never have a pain or flare-up in your body. No one gets out of life without serious challenges along the way and no one is immune to experiencing pain. However, the difference lies in how we perceive and respond to it. A real life example world would be to consider how a sailing boat gets from point A to point B if there is a direct headwind blowing in their direction? Would the sailor just give up and think it’s not worth the hassle? The experienced sailor would no doubt accept that unfavourable winds are going to happen some of the time - that is a normal part of life, and they wouldn’t get overly emotional when it occurs. For the sailor who is committed to reaching point B, the solution, is to change tack. 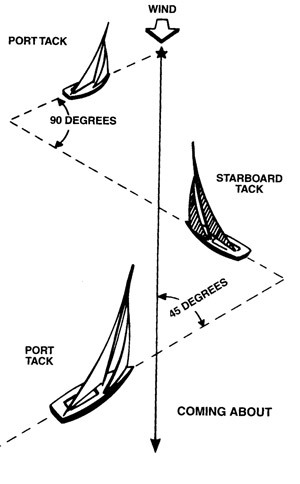 If the boat turns onto a 45 degree angle, then the sails are able to pick up the wind and use it to the boats advantage. Progress is no doubt slow and frustrating, but it is still forward momentum and getting you closer towards your goal. When the winds eventually turn favourably, you would have built up a decent reserve of resilience and capacity. Bottom line: there is a season for pain and it is a normal and inevitable part of life. Keep breathing, batten down the hatches if necessary. Following on from the first point, counter-intuitively, to overcome your pain, you must be at peace with your pain and fully accept it. The struggle, the fight and the mental battle against your pain only ends up wasting precious energy and resources, that could otherwise be better spent. Being trapped in a state of resistance and anxiety leads to your body into a fight or flight mode where your muscles are held in a constant state of tension. This can lead to even more problems than your initial injury. Once you can find acceptance, a significant burden is literally lifted from your shoulders. With the guidance of a health care professional, it’s important to let go of your anxiety and find a place inside that is relaxed. The Stoics proposed, rather than avoiding the pain, we must accept it and then confront it. Once you are feeling more relaxed and in control of your emotions, Stoicism actually encourages you to imagine the worst case scenario in terms of your pain experience. If you could courageously come to terms with the worst case scenario - and see how, while it would be difficult, you would definitely still be able to cope. Practicing this exercise mindfully can help reduce the fear around pain, injury and loss of function, knowing that you will be able to manage, no matter how bad things get. Injuries can often be thought of as ‘bad’. This reminds me a of a story about a farmer. One day his horse runs away. And his neighbor comes over and says, to commiserate, “I’m so sorry about your horse.” And the farmer says “Who Knows What’s Good or Bad?”. The neighbor is confused because this is clearly terrible. The horse is the most valuable thing he owns. Be at peace with your path and have faith that everything happens for a reason. There is no good or bad to the practicing Stoic, there is only perception. While you can learn the principles of Stoicism, the philosophy is actually one of action. A Stoic needs to focus his attention on action in the present moment of time because neither the past nor the future can be changed. 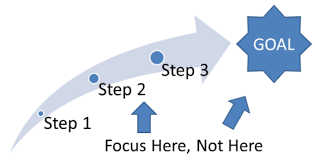 Being process orientated, you start to focus on all of the small daily things you need to do that all add up to produce the end result. Come back to the present moment. That is where the power is to change your life for the better. Take the focus off being pain-free and instead put your focus on the process. What are the small daily tasks you need to do to become pain free? There is no doubt that ongoing pain that is unexplained can be frightening. With the help of your Physio and Doctor, if you can understand that some degree of pain is a normal part of the healing process, you can relax in that knowledge. It’s important to realise that whatever pain you experience should be related to a certain physiological process. Muscle pain —> the most common source of musculo-skeletal pain - lack of oxygen to the muscle from poor posture, excess muscle tightness or injury. Chronic pain (more than 6 months) —> relates to increased sensitivity in the nervous system which magnifies minor tissue problems. It may come down to the fact, that we all have wear and tear and issues in our body, for whatever reason, the body and nervous system has decided to heavily focus on that particular area. If there is ongoing pain and you are not sure why, then you may need to talk to your health care provider in more detail. Stoic philosophy has a lot in common with the Growth Mindset approach, developed by Carol Dweck. According to this approach, the most important word in the dictionary is ‘yet’. It takes practice to exhibit self-control with our perceptions of life’s obstacles. You can practice - the next time your stub your toe or get a paper cut. Pause for a moment and see if you can absorb the sensation of discomfort - without reacting to it. One of the great things about exercise is that it is a form of discipline where you willingly put yourself in a position of discomfort for a period of time, with the hope that you will come out the other side better off physically or more importantly mentally afterwards. As you practice pushing yourself to the threshold, you will build a reserve of willpower to draw from as necessary, creating a “Inner Citadel” of strength and resilience. For me personally, that is one of the reasons I enjoy the process of running so much. Every time I go for a run, I know I will confront the pain of a body wanting to stop. To achieve any sort of reasonable time, you need to learn to listen to your bodies pain, but constantly re-directing your attention and keep pushing to achieve your goal. Pain and injuries are never easy. But with the right attitude, they can be an valuable internal guide to making you better and stronger than before. What seem like insurmountable obstacles become once in a lifetime opportunities. If you’d like to find out more about Stoic philosophy, I’d highly recommend you check out the book, The Obstacle Is The Way. What’s the biggest obstacle you’ve faced? What benefits were you able to derive from it?